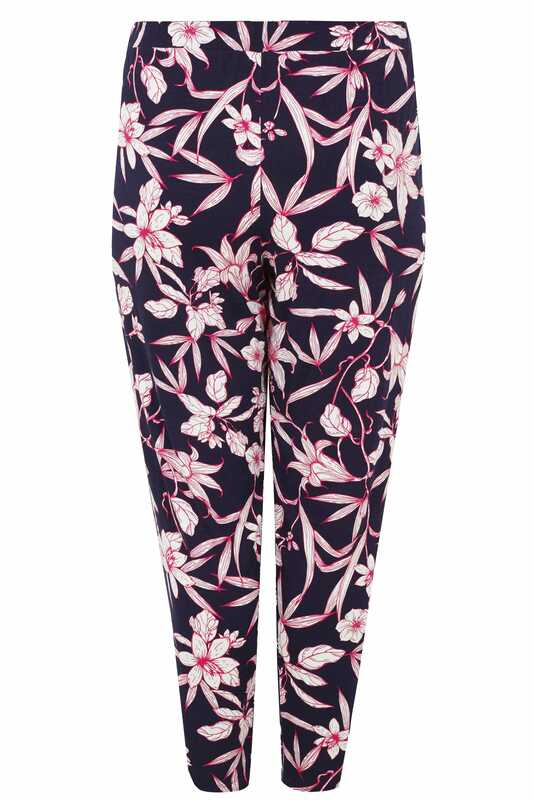 These super stylish, comfortable harem trousers are made from a loose fitting stretch jersey fabric and have an elasticated waist for an easy fit. Style with a woven top and wedges for an on-trend look. 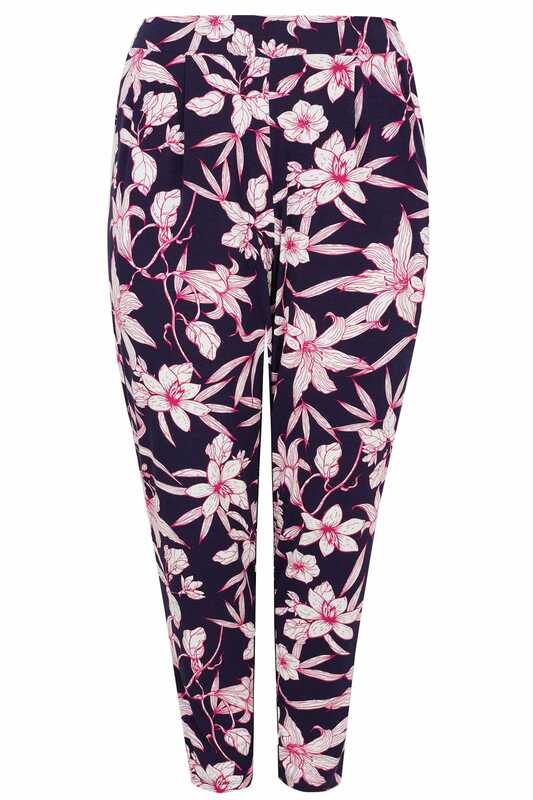 We love the cute floral pattern for this season!